Since our founding in 1994, the law firm of Mark L. Karno & Associates, L.L.C., in Chicago, Illinois, has become the trusted source for high-quality, effective representation for innocent accident victims and their families throughout the region. Backed by our decades of combined legal experience and unwavering commitment to those we serve, the attorneys at our law firm have achieved notable success advocating on behalf of our plaintiff clients suffering as the result of someone else's negligence or wrongdoing. 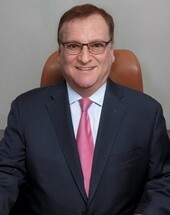 Handling all types of personal injury, wrongful death and workers' compensation claims, we have secured millions of dollars in settlements and awards for those adversely affected by car and truck accidents, dangerous property conditions, workplace accidents, defective products, dog bites, nursing home abuse, medical malpractice, and other preventable tragedies. Personal and responsive, we will work closely with you to first analyze your case and determine the best course of action. If you have a valid claim, we will then aggressively pursue the maximum amount of compensation possible, whether through litigation or negotiations, to ensure the best possible odds of obtaining the justice you seek. Recognized for our impeccable professionalism and high rate of success, our attorneys have won numerous awards and honors throughout their careers, and our law firm has gained a reputation as one of the region's top legal practices for those in need. If you would like to discuss your situation with no risk and no obligation, you can contact Mark L. Karno & Associates, L.L.C., to schedule a free initial consultation. Working on a contingency basis, we will not charge a fee from you unless we secure finances on your behalf.